We like to share Office 365 tips to help make your work life better. This one focuses on breaking an old habit: end users attaching files to their emails. This used to be the primary way to share files, so of course we are all comfortable with this technique. But there is a better way to do it, and I now cringe when I see a file (especially a large file) attached to an email sent to me from a co-worker. 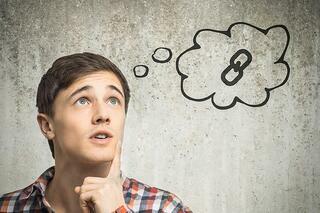 You'll cringe, too, once you learn the benefits of using a link instead. Some clients will mark emails containing large files as spam and drop the incoming message into a junk mail folder. Even in the cloud age, some email clients have strict file size limits. Sending a link instead of a bulky file ensures a smooth delivery to the intended recipient. Managing your organization’s data and storage keeps your IT staff hopping. Sending and receiving large files – especially when there’s a lighter alternative – makes their lives more difficult. Sharing links also cuts back on over-versioning of documents. You don’t need 10 versions of the same file clogging up network storage. Especially when a single, sharable document could suffice. Office 365, OneDrive and SharePoint work together to help people work smarter. We recently devoted an entire post to this topic. Give yourself a break by using tools designed to help you collaborate in a single, shared file. Keeping your files in shared locations makes collaboration a snap. The most obvious locations are SharePoint and OneDrive. However, the choice will depend on your organization’s preference and other considerations. Here's another Office 365 tip to help get your team members on board. If your team’s resistant to change, give them a golden rule to follow first: any file over 1MB must be shared by link, but strive to share ALL files and keep inboxes light. This will make team members more personally aware of the files they’re sending. Obviously change doesn’t come in a day. Be persistent, and monitor for strays from the 1MB rule. With enough enforcement, change will occur. As a bonus, your IT department may prioritize your future requests for being so forward-thinking and considerate of precious IT resources (but we can’t guarantee it). If you want your team to get even more out of Office 365 tips, consider additional training. There is all sorts of training to help end users develop good, efficient habits to increase productivity and minimize network cramping. With your team’s Office 365 environment up and running, now is the perfect time to break those old habits that turn into nightmares down the road. Cloud storage makes breaking those habits easier by giving users a common place to work and link to – putting an end to inbox cringing, document versioning headaches and (eventually) making your team beam with appreciation.